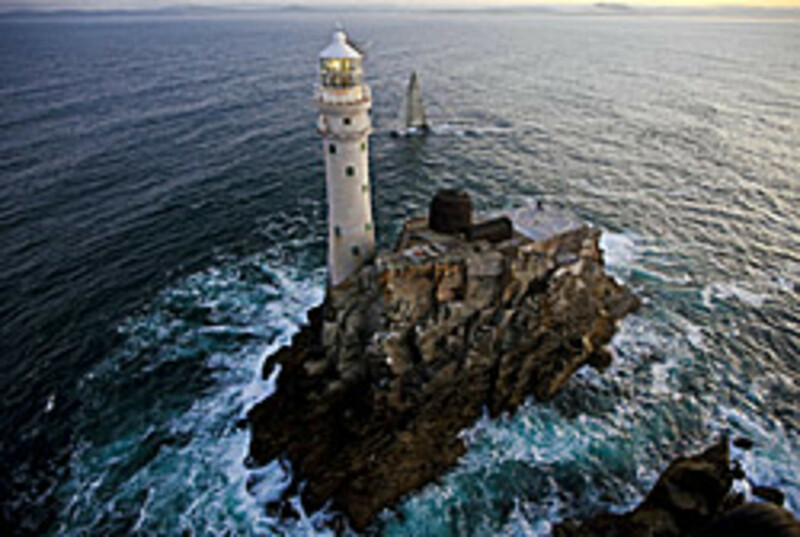 Just after midnight Tuesday, Mike Slade&apos;s 100-foot super maxi ICAP Leopard, sailing in a 10- to 15-knot westerly breeze, was the first boat in England&apos;s 2009 Rolex Fastnet Race to round the Fastnet Rock off the coast of southwestern Ireland. The forecast is showing an area of high pressure encroaching on the southwest of the British Isles during the course of the day. In order to remain in the strongest breeze, ICAP Leopard has taken a radical northerly route towards Bishops Rock, the next mark of the course, located to the west of the Scilly Isles, 150 miles southeast of the Fastnet. With conflicting forecasts, it remains to be seen if that is the best tactic as Slade&apos;s approach is longer, but should ensure they stay in breeze.